Yes, gender inequality exists in the film, tech and gaming industries, but what are doing about it? 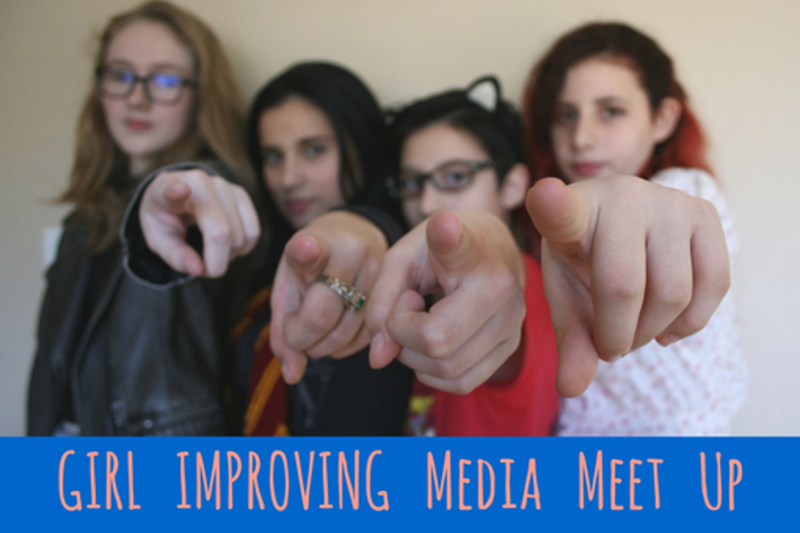 This Meet Up will connect a community of people who support, provide and/or are interested in expanding opportunities for girls in media, so we can prepare the next generation of content creators. Through ice breakers, improvisation and theatre games, attendees will have a chance to network, hear about existing #girlimproved type of projects and share what they’re working on. Andee Kinzy is the Founding Director of both ImprovEd Shakespeare and Girl Improved, organizations that educate and empower youth in the creative arts. She has been working hands-on with kids since 1988. Her 2003 niche short film, “What Is It About Hats? A Documentary About the People Under the Brim,” has screened at millinery conventions and hat-related exhibits around the world. Before moving back to Austin, home of her alma mater, University of Texas (BA Drama), she was the president of the non-profit women’s film organization, CineWomen NY, which has since absorbed into NY Women in Film and Television. Now she produces multiple youth theatre productions each year in addition to creating web videos that document and market the process of working with kids.